This past Saturday was our Thru Hiker Kick Off Party and it was an absolute blast. After many, many days of winter weather, it was the first day of bright sunshine we had seen in far too long. The snow was melting away by the minute and many of us were soaking up as much sun as possible! 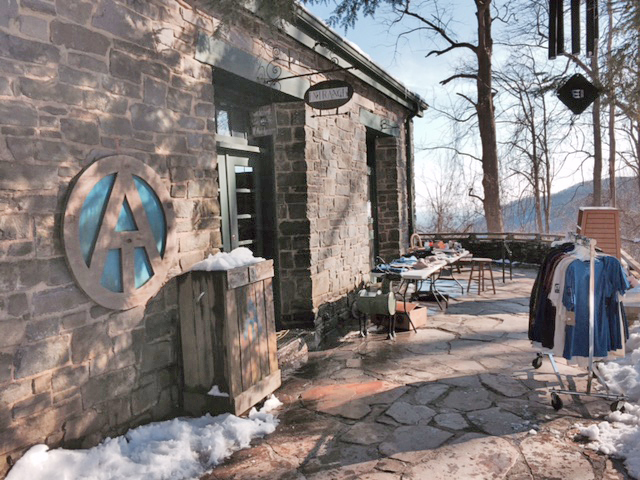 We had a constant flow of friendly faces filing through the door and milling around outside enjoying the day. 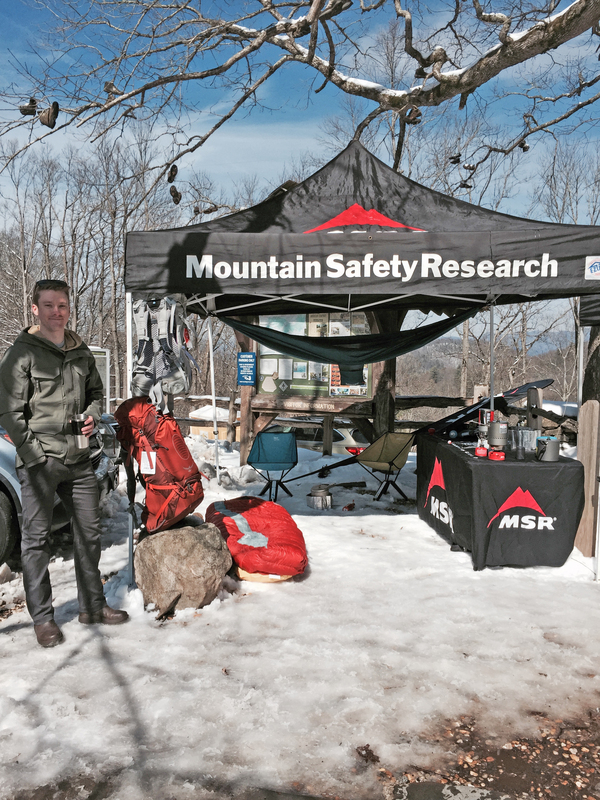 Festivities included live music from Raven and Red, a Gear Raffle, several gear reps brings us all the best of many outdoor companies, grilled hot dogs and a fire pit for S’more making. 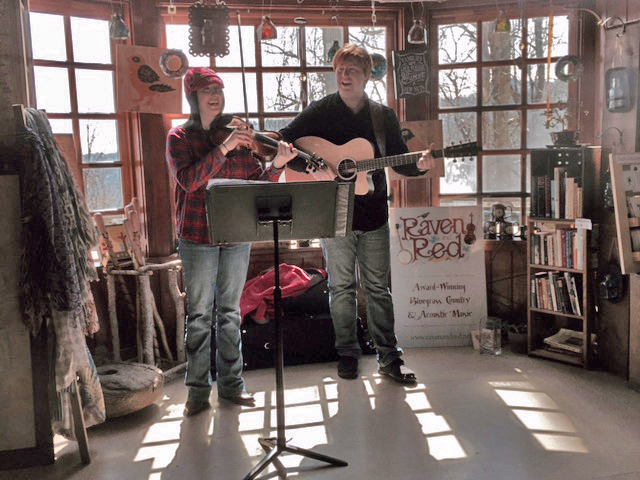 Raven and Red, a band out of Nashville, TN, played several sets of incredible music. They brought us all the favorites from bluegrass, mountain music and folk. Their beautiful harmonies and sure finger plucking set the mood perfectly as is resounds out of our bay window. Through our Gear Raffle we were able to raise $740 for a project illustrating the Civil Conservation Corps and the Appalachian Trail in Union County. 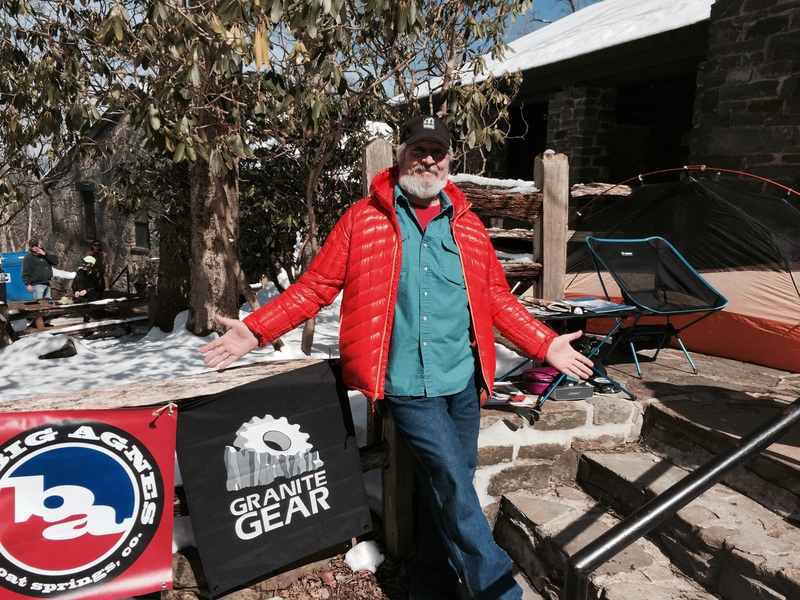 We had donations for raffle prizes from gear companies like Big Agnes, Granite Gear, Sawyer, Osprey, Point6 Socks, Wright Socks, Mountain Hardwear and many, many more! 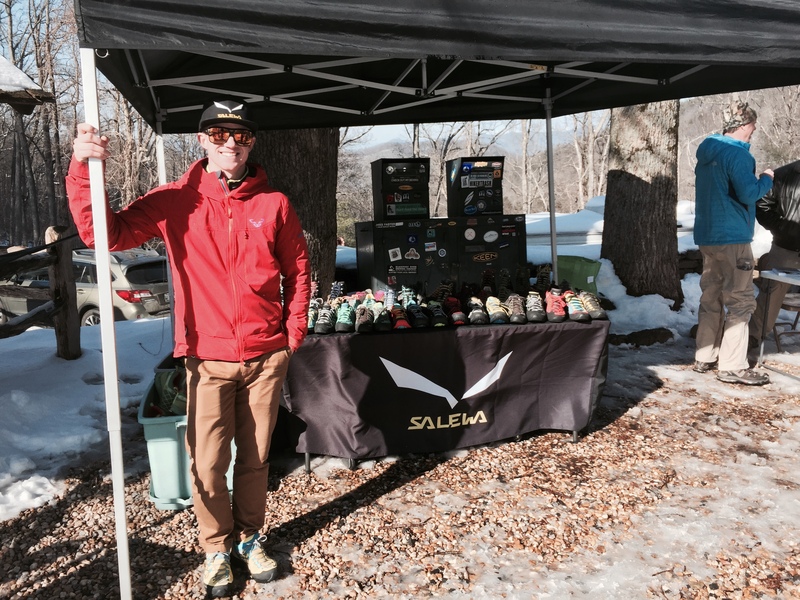 Gear reps came and set up booths what displayed the products of many of the raffle prizes. Chaz is the rep for Salewa Shoes. We just got a our first shipment into the shop a few weeks ago! Our Kick Off Party is always an excellent excuse to get friends and neighbors up to the shop for a good time. We always love meeting new people who find their way to us and this party was the official kick off to the season where we meet the most new friends and faces. Happy 2015 Thru Hike Season, everyone! We are already in the thick of it now and loving it. Hope you are as well! 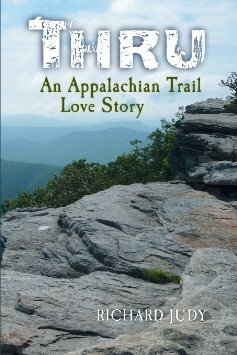 This entry was tagged appalachian Trail, Big Agnes, Granite Gear, Helinox, Kick Off, mountain crossings, MSR, Neel Gap, Osprey, Party, Point 6 Socks, Salewa, Thermarest, THRU, Thru Hiker Season. Bookmark the permalink. Sorry we did not see this earlier! I remember him coming thru and I bet he was quite on scedule to come thru the day you posted your comment. If not, then the day after.